The Chartered Wealth Manager ® is a designation awarded by the GAFM. The GAFM® International Board of Standards was the first to be accredited by the TUV and ISO Certified for Educational Standards. Chartered Wealth Manager ® - Chartered Designation Status is the distinction of a qualified industry professional with graduate education and credentials. The Chartered Wealth Manager status can be added by your name on business cards and resumes and letterhead. The CWM Chartered Wealth Manager ® shows your professional wealth management disctinction to employers, colleagues and customers. Graduate Education Requirements, as seen in Forbes, Wall Street Journal , FINRA, Investopedia and more for over 10 years. ** Accreditation - Our Certification Standards Board is TUV-OE Accredited and ISO 9001 Certified for Quality and ISO 29990 Certified for Educational Standards. Approved Sanctioned by the Arab Academy for over 20 Arab Nations. If you are not pre-qualified, we can recomment a top accredited business school or law school program online for you to achieve our financial planner or financial analyst certification and accreditations. Under our Accredited Business School Legal Agreements, we are the first to accept exams and courses from Government Recognized Business Schools as a path to certification. GAFM Board of Standards creates alliance on standards with the CHEA Quality Group. GAFM renews is alliance with ACBSP where professors and students may apply directly. 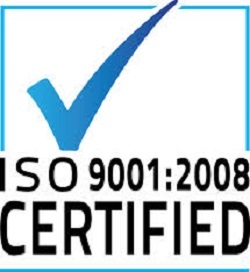 GAFM maintains accreditation and certification with TUV for ISO 29990 and ISO 9001 certification. GAFM maintains accord with Arab Leagues Arab Academy. GAFM Board creates new university chapters in 20 countries. GAFM maintains government recognition in select countries. GAFM ® is an ISO Certified Credentialing Body for both Quality and Training that is TUV Accredited for ISO 9001 and ISO 29990. Courses are approved by the GAFM as a path to certification. Pricing for courses is subject to change and the GAFM has NO CONTROL over the courses, quality or pricing.